It has been mentioned on several occasions that blogging is part of online marketing. 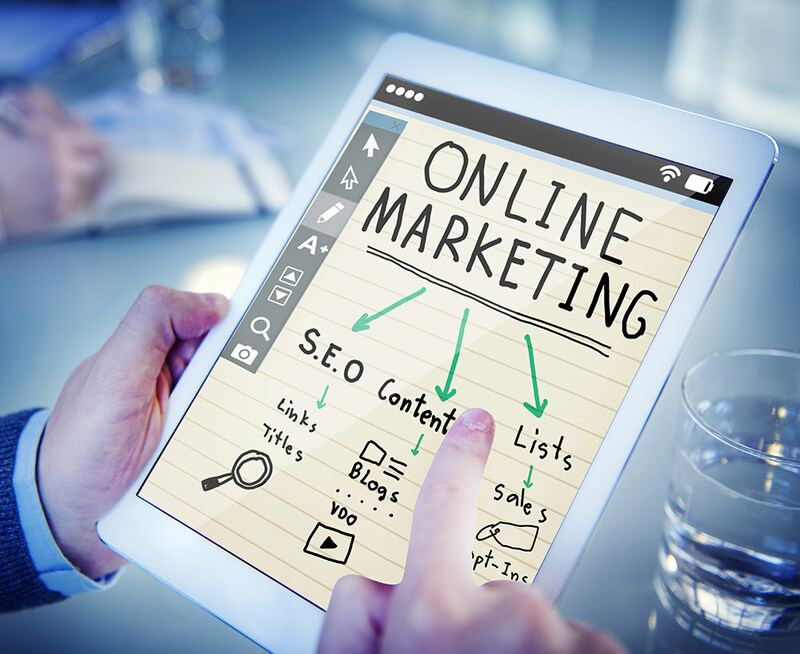 Essentially, it is a strategy that is closely linked to many other segments that together make what we know as online marketing, i.e., the promotion of a brand or business using online resources and media. Regardless if you are blogging as a company or an individual, regardless your niche and blog popularity, blogging should always be connected with other segments of online promotion. They complement each other in multiple ways, allowing you an opportunity to make the most out of all of them. Your task is to explore how blogging relates to online marketing segments and then to maximize your efficiency through a unified strategy. Content marketing is a part of online marketing that focuses on the usage of content to promote a brand or business online. Since blogging involves content creation for a blog, it means that blogging is actually a part of content marketing. 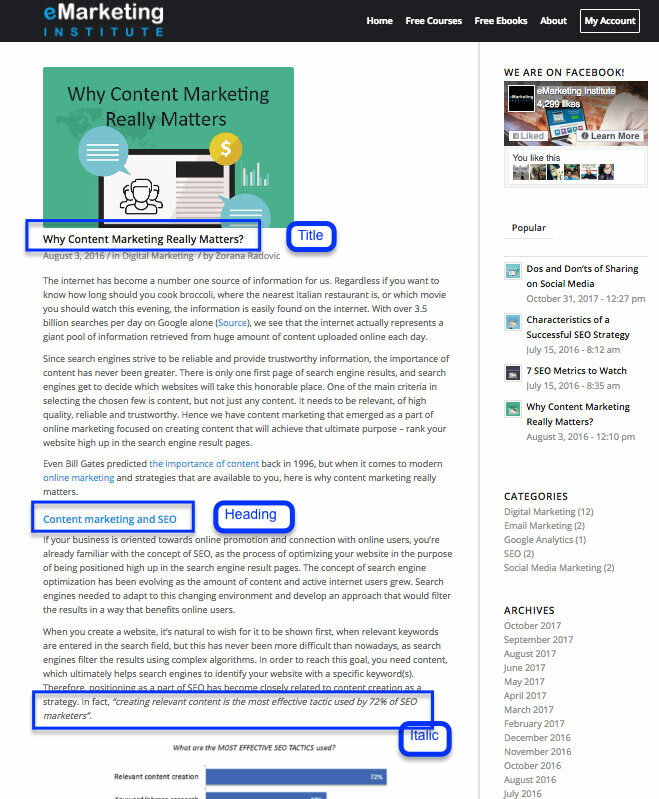 In fact, blogging usually makes the essential part of content marketing since a blog is the central platform bloggers use to share their content. Content marketing also includes any type of content creation that is used for online promotion. Besides blog content, it can also include social media content and graphics, content shared in email marketing campaigns, content created for the search engine or social media ads, etc. Other segments which are included in content marketing, and yet they are relevant for blogging include content optimization and distribution. The title holds the highest level of relevancy as to what the content is related to. It should include a keyword (or keyword phrases), and it should be optimized to encourage clicks from online users. Besides the search engine result pages, this title is also visible in social media posts, in email messages, instant messaging apps, etc. Using headings helps readers to glimpse through the text easily. It is also helpful for the search engines, because headings highlight the most important parts of the text, providing the search engines with the context bigger than the one provided by the title. Ideally, headings should use keywords, keywords variations, or related phrases. Just like headings, these highlighting options are helpful ways to mark the most important parts of the text, for both the readers and the search engines. They are usually used within paragraphs to emphasize words or even sentences. 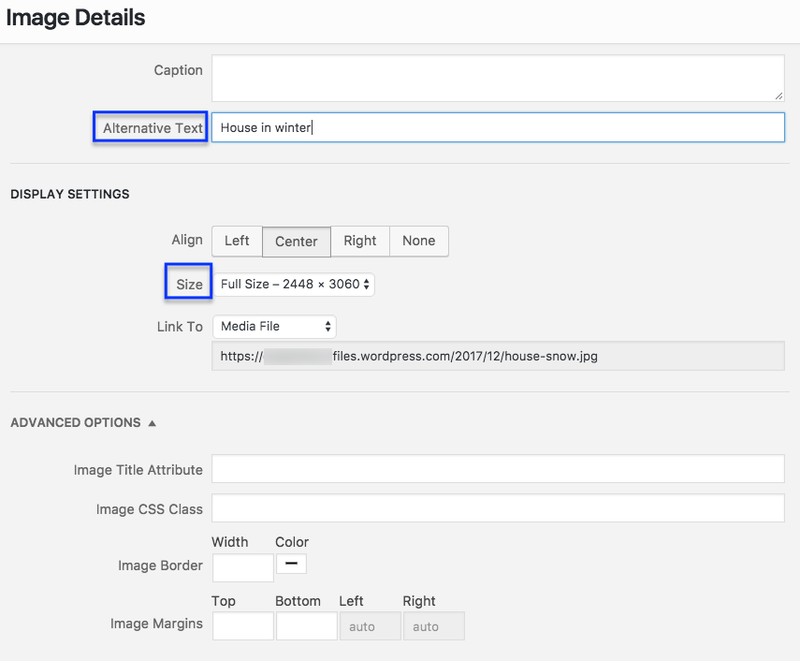 If you are using images in the blog article, optimize them through the usage of Alt tags, to provide context for the search engines to understand the image content. Also, make sure you use images of a suitable size (smaller image files are going to load faster). Meta descriptions also have an affects on search engine optimization. It is therefore advised, if you want more visibility in the search engines, to write a search engine optimized meta description for your blog article. The text featured here is what is going to be displayed in the search engines preview (below the title) and what the online users will see when they browse through the search engine result pages. Optimizing links and the anchor text featured in these links is also a part of the content optimization of the blog article. If you include links, both external and internal, make sure you choose the adequate anchor text. The anchor text should be relevant to the resource you are linking to, preferably with the use of relevant keywords. You should also use different link tags (index, no-index, do-follow, no-follow, canonical, etc.) to instruct search engines how to treat that link. Any online platform that supports content sharing can be used by bloggers to distribute their content. The higher reach of distributed content increases the potential of that content, maximizing views, interaction, and conversions. Target group – The goal of content distribution is to help you reach your target group, not online users in general. Therefore, when choosing a distribution channel, make sure you can target the content for the audience that will have interest in such content. For example, even though collaborating with an influencer might be an interesting opportunity, if the target group of that influencer is not also your target group, such content distribution will have poor results. Cost-efficiency – Content distribution should be a profitable activity for you, regardless if you use free or paid reach. Even if there is no monetary investment with free reach, this kind of content distribution still requires investing time to distribute content. It is also recommended that, if possible, you calculate the costs necessary for content distribution, and compare them with the profit from conversions achieved through this distribution. Statistics – You should evaluate the performance of content distributed through each channel to determine the most effective ways you can promote your content. Using trackable URLs and website analytics you can examine, where the content is shared, when, and other relevant data that can help you organize future campaigns more efficiently. To understand the relationship between blogging and SEO (search engine optimization), you have to understand the basics of SEO. Search engine optimization is the process of optimizing and improving the website (or the blog) to increase its rank in the search engine result pages for the relevant search queries. So you have a specific keyword or several keywords that are relevant for your business. Online users who look for these keywords are likely to be interested in your business. Your goal with SEO is to improve your online presence, so these users can find your website when they search relevant keywords. Regarding SEO, when you appear in the search engine result pages is very important. It is so-called visibility, the likelihood of being visible to the online users. You probably know that when you type a specific term into a search engine, you get a list of results, which spans over many pages. The websites with the highest visibility level appear at the top of the first search engine result page. Online users are more likely to click on the results that appear at the top of the list. So for a website to increase its chances of reaching the users, it has to appear high up for the relevant keyword(s). Optimizing a website helps with increasing its search engine visibility, which has a positive influence on multiple areas, such as an increase in traffic, lead generation, and finally sales (or conversions). Blogging, allows you to create content that has the chance of being ranked in the search engines. In fact, companies that blog have consistently been showing better results than those that do not. The main reason for this is that a blog provides a large quantity of content to be ranked. It allows you an opportunity to use a variety of keywords to optimize the content, as well as to use relevant keyword variations that could also bring visitors who are interested in your brand. Think about it this way. Without a blog, your website would consist of a couple of pages. You would have a home page, about us page, contact page, and perhaps extra pages such as services or products you offer, pricing, etc. Essentially, this is a small amount of content. It provides a few resources to be optimized, which reduces the chance of increasing visibility and being discovered through organic search engine results. Blogging combats this issue and provides indexable content that helps with generating more organic visits. This is also beneficial for the online users, who might discover your brand through your content. Link popularity – If a page gets lots of links, it means it is popular. Hence the search engines will consider it valuable. Relevancy – Search engine consider the relationship between two pages to conclude how these topics are relevant to each other. Freshness – If a new website page links to a blog page that is a couple of months or even years old, it means that the blog page features evergreen content. This kind of content has a positive influence on page visibility. Trustworthiness – A page that links to your blog page, passes on so-called link juice, which means that trustworthiness of a website that links to you will transfer to your blog as well. Linking domain or a page with high authority is a factor that helps you improve your SEO. This segment of online marketing includes business promotion through social networks. It starts with creating social media profiles, and then it includes many social media marketing techniques, such as content promotion and engagement, hosting competitions and giveaways, interaction with the social media users, social media advertising, etc. Blogging is sometimes defined as a part of social media marketing. The reason for this statement relies on the fact that blogging provides more dynamic content than website pages. It also encourages the interaction between the author and the readers. Both of these, regular updates and online interaction are the characteristics of social networking websites. Hence the reasoning that considers blogging as additional channel used for social media marketing. Sharing blog content provides more material for the users, offering a variety of content the users would find helpful. Unlike social media status updates, blog content is longer and more elaborate, so the online users can find more information about the topic they are interested in. Without social media reach, blogging would mostly depend on organic traffic and inbound links. However, employing social networks for content distribution helps with delivering your blog content to the audience following you on social networks. This increases the reach and visibility of your blog content among the online users. Sharing on social networks increases the visibility of blog content as you have all those social media users that you can potentially reach. Furthermore, the influence of social networks on search engine visibility has been a topic of many debates among marketers. There is no clear data on how the search engines see social media links, but there is a common belief that search engines do see these links in some way. Additionally, social media links are often featured in the search engine result pages, which means that it is possible to increase visibility, especially for branded keywords. Social networks help you bring traffic to your blog. The amount of that traffic can range anywhere from a couple of clicks to thousands of social media visits, but what it mainly depends on is the how popular your social media accounts are and how viral your post is. Growing popularity and adoption of social networks among the people worldwide have led to more opportunities to interact with them through these platforms. For a business, this represents a chance to improve the business-to-customer relationship, to provide customer support and to ask for reviews. For people, social networks represent a convenient way to follow the news about the business they are interested in (including promotions, new product releases, etc. ), as well as an opportunity to get their questions answered, to provide feedback, etc. Lead generation includes collecting email addresses of the online users who are most likely to become your customers, based on specific conditions they fulfill, such as being from a certain location, within a certain age group, having bought a similar product before, having visited a page on your blog, etc. Leads are also often called potential sales contacts. Unlike regular subscribers, leads hold more value for a business, because they are more likely to be converted. It is possible to segment your mailing list to separate regular subscribers from leads. What blogging helps you do is collect leads. Blogging helps you create content of high quality that will attract relevant visitors. When you achieve this task, when you have visitors on your blog page, the next goal will be to generate the leads through the usage of lead magnets. Lead magnets are offers that require visitors to leave their email address to get something in return. They could get some downloadable material, templates, resources, access to a restricted area, coupons, an ebook, etc. The offer has to include something they will find value in, to encourage clicks. The offer also has to be related to the content of the blog page that features the lead magnet. For example, if you have a page about social media marketing, the relevant offer could include a report with social media statistics, an ebook guide for optimizing social media updates, etc. Blogging contributes to lead generation with its success. The more visits the blog pages have, the more leads can they generate. When you explore all of these aspects of online marketing, and how those and blogging mutually complement, this gives you a possibility to maximize your success. Being a blogger is not about being a writer only. You need this basic knowledge of online marketing because it helps you enhance the performance of your blog. It helps you build influence and turn blogging into a profitable career. Your main goal is to consider blogging a part of online marketing, and to explore how different segments can help you create better-performing content. Explore social media performance and see what kind of posts go viral. Use an online SEO checker to see if content optimization is really working out for you or you need to consider improvements. For a business striving to succeed in the world of online marketing, blogging is so much more than a collection of nicely-written articles. A blog is a resource that helps you generate traffic, visits, leads and eventually sales. It helps you promote your business and persuade people to become your customers through the credibility and trust you gain as a blogger. For individual bloggers, online marketing is also necessary for their blogging endeavor because it can significantly improve the potential blogging, on its own, has.